Puma Series: Choose from Puma with 5 models from 150 to 220 HP or Puma CVX with 7 models from 150 to 240 HP. Maxxum Series: Choose from Maxxum with 6 models from 110 to 140 HP, Maxxum Plus with 5 models from 116 to 145 HP, Maxxum Multicontroller with 6 models from 110 to 140 HP, Maxxum Multicontroller New with 5 models from 116 to 145 HP, Maxxum CVX with 3 models from 110 to 131 HP or the Maxxum CVX New with 4 models from 116 to 145 HP. Farmall Series: Choose from Farmall A with 5 models from 55 to 114 HP, Farmall C with 7 models from 58 to 114 HP, Farmall U with 3 models from 99 to 114 HP or the Farmall U Pro with 3 models from 99 to 114 HP. Loaders: The Case IH LRZ front loaders combine power, rigidity, loading performance and modern design to form an innovative loader concept. Further detailed information on the Case IH Tractor range can be found on the Case IH website. 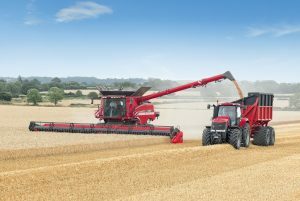 Further detailed information on the Case IH Harvesting range can be found on the Case IH website. Large Balers LB 4 Series: 4 models offering bale dimensions 80x70 to 120x90cm. Round Balers RB 455/465 Series Variable Chamber: 2 models offering bale dimensions from 90-150 or 90-180cm. Round Balers RB 344 Series Fixed Chamber: One model offering a bale dimension of 120x125cm. Further detailed information on the Case IH Baler range can be found on the Case IH website. Case IH provide a range of 6 models of telescopic handlers in their Farmlift range with a maximum reach from 5.7 to 9.1 metres. 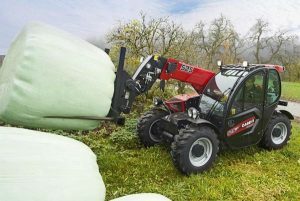 Further detailed information on the Case IH Farmlift Telehandler range can be found on the Case IH website. From simple light bars to entire networks Case IH AFS products offer the ability to achieve repeatable accuracy year after year. The AFS system has the capability to include guidance, automatic steering, sprayer boom control, yield mapping and much more and can achieve positioning pass-to-pass accuracy levels down to 1 inch. 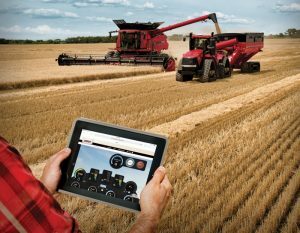 Further detailed information on the Case IH Advanced Farm System (AFS) can be found on the Case IH website. 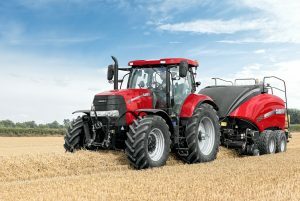 For more information on the Case IH Tractors range of products, please contact us or call our Sales Team on 01767 677316.